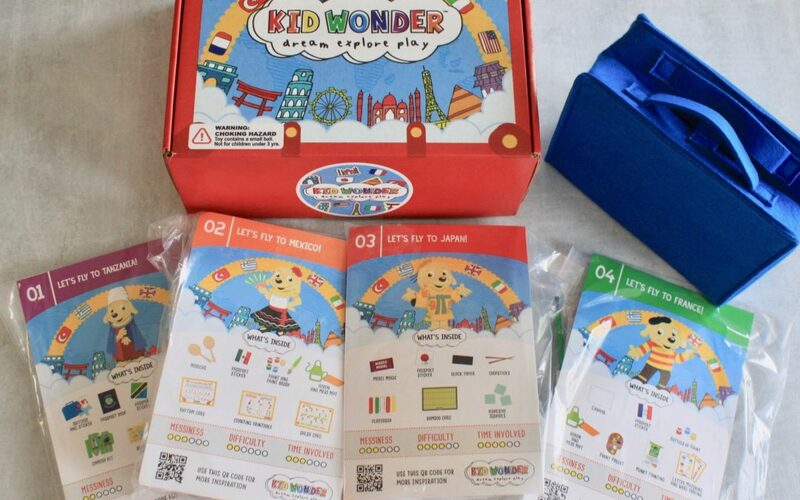 Kid Wonder is a monthly subscription that is all about encouraging children to learn through play. 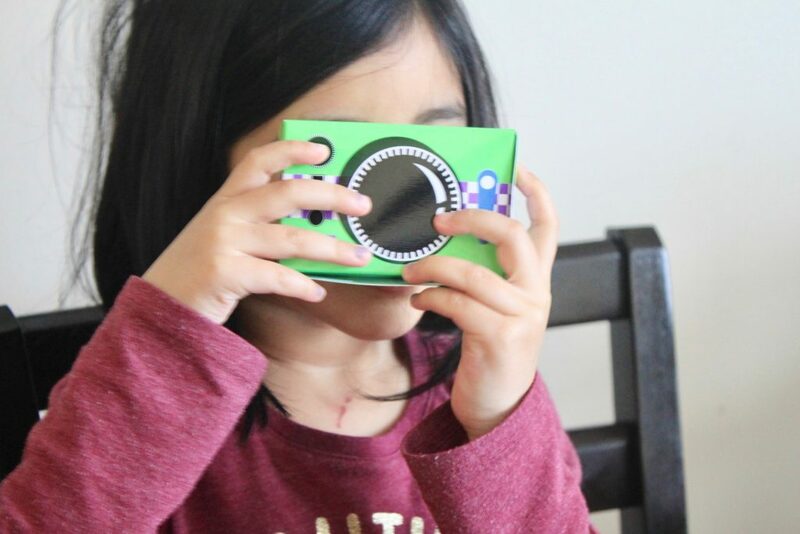 It is founded by 2 moms who understand the alluring power of screen time. 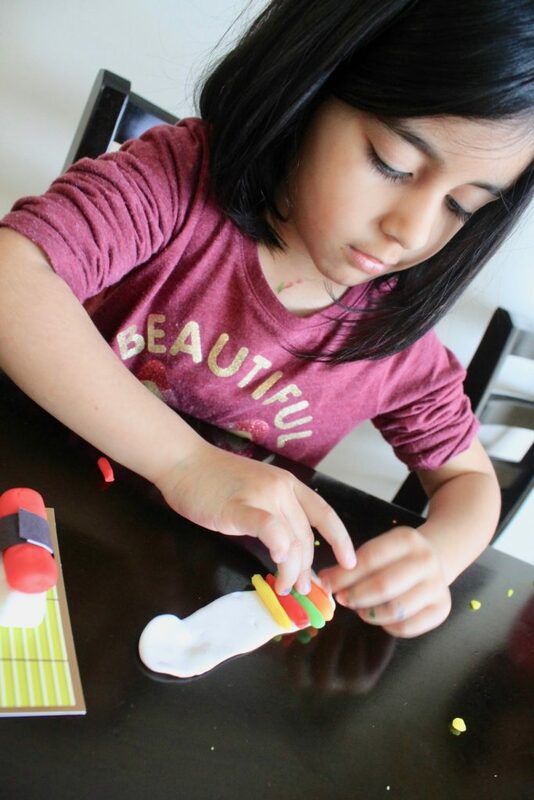 Each month expect to receive 4 to 5 high-quality activities that lead to magical imaginative play centered around a particular theme. 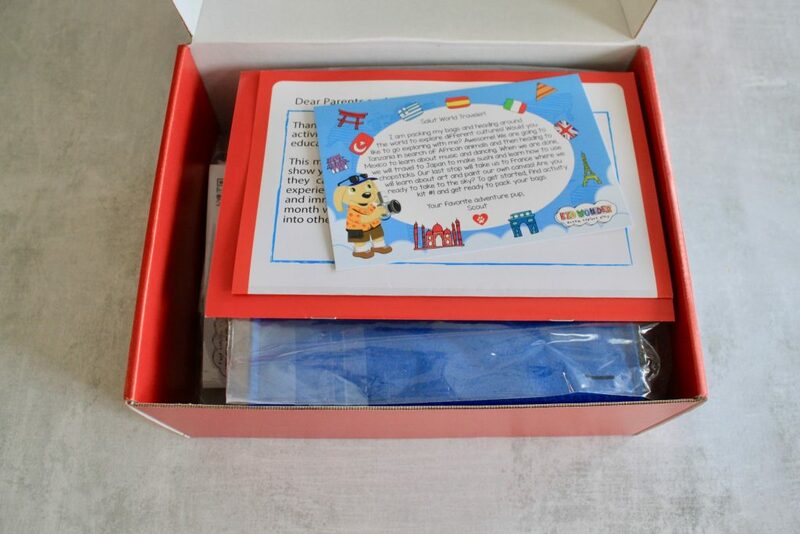 The Little Dreamers’ Box is perfect for kids ages 3-6 and they are soon launching 2 more subscription options: Big Adventures Box (Ages 5-8); and Junior Explorers Box (Ages 7-10). 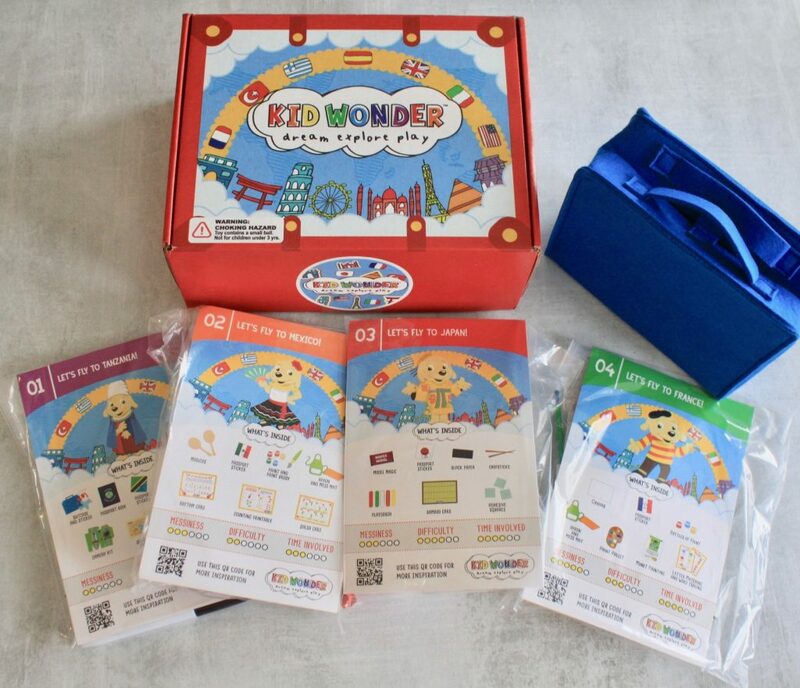 *Disclosure: Kind Wonder Box kindly sent me this box for review purposes. However, all opinions expressed in this post are 100% mine. Post may contain affiliate/referral links. 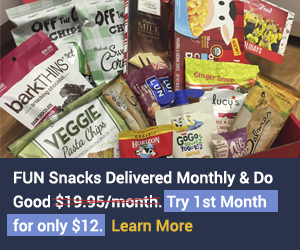 $24.95/monthly (reduced prices for 3, 6, and 12-month plans). 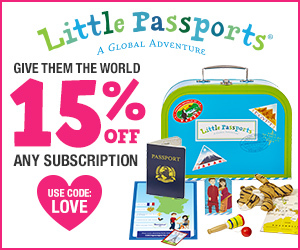 $5.00 Flat Rate Shipping on all subscriptions. 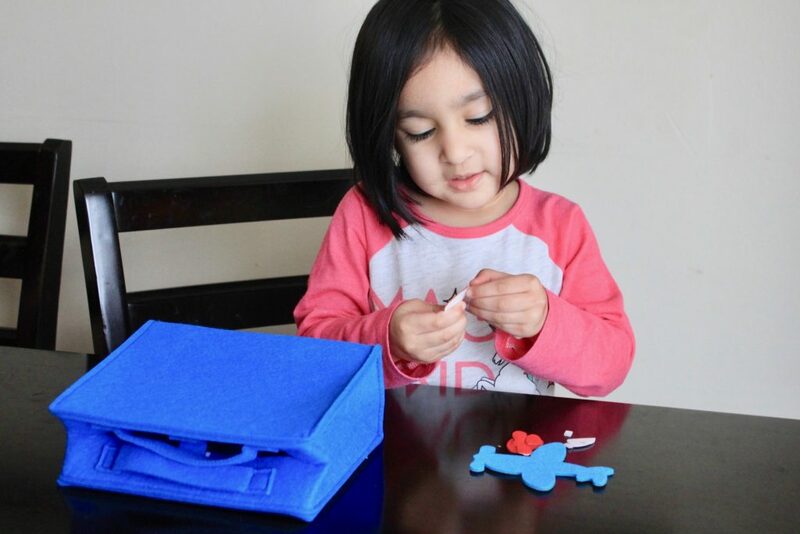 COUPON CODE: Get 30% off your first box with the coupon code HAPPY30. Okay firstly how bright and cheery is the box itself? 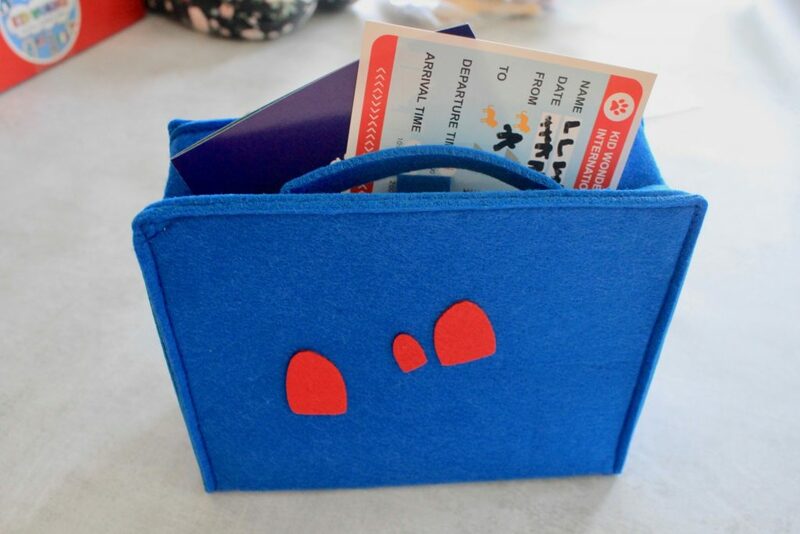 The box also always demonstrates the theme of the month, so expect to see a different box each month, which I think is so exciting! 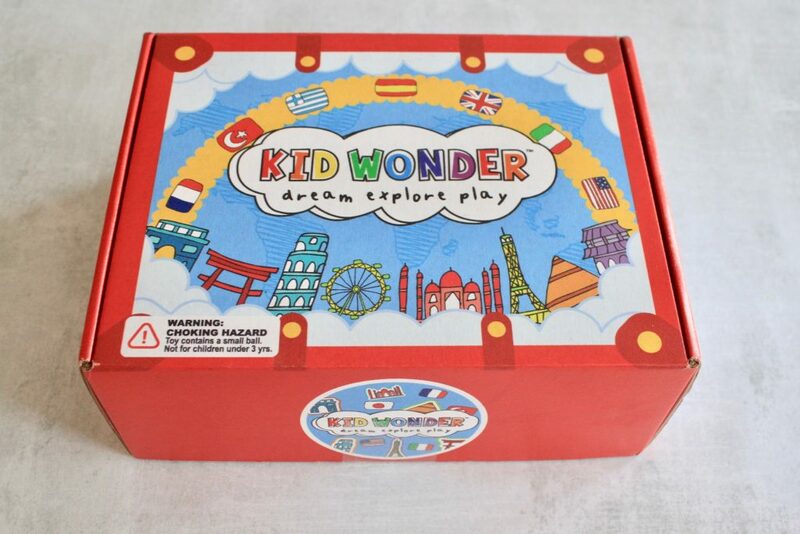 The colorful packaging instantly illustrates that it is all about themed imaginative play. 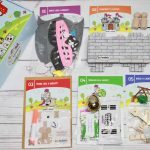 Everything inside our November box! 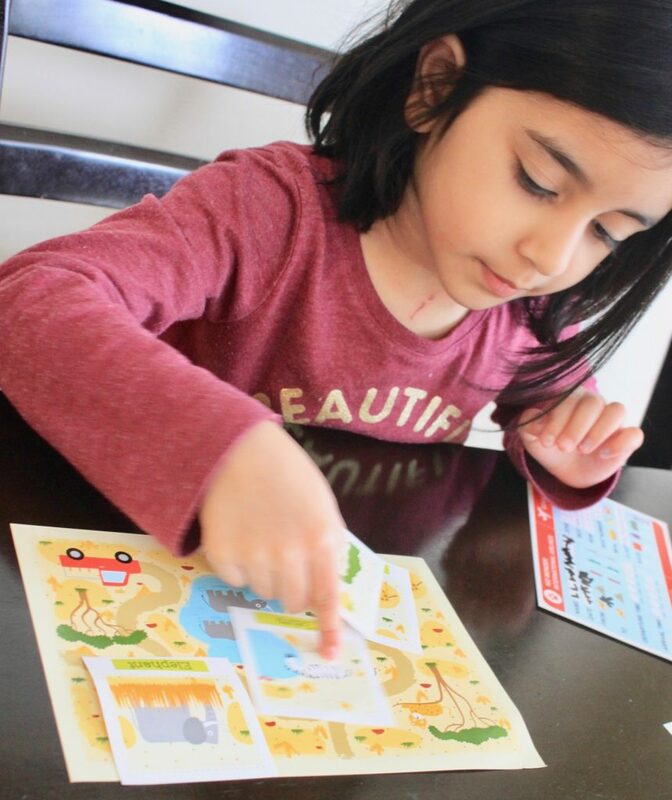 This month we were headed to 4 different countries which made this month so much more fun as we learned various cultural bits about each country! 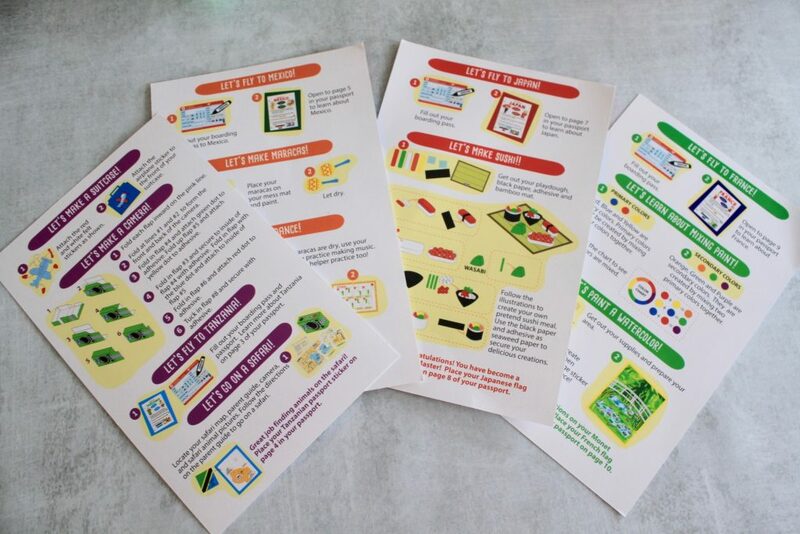 You also receive a very detailed and colorful information booklet with more activities inside. 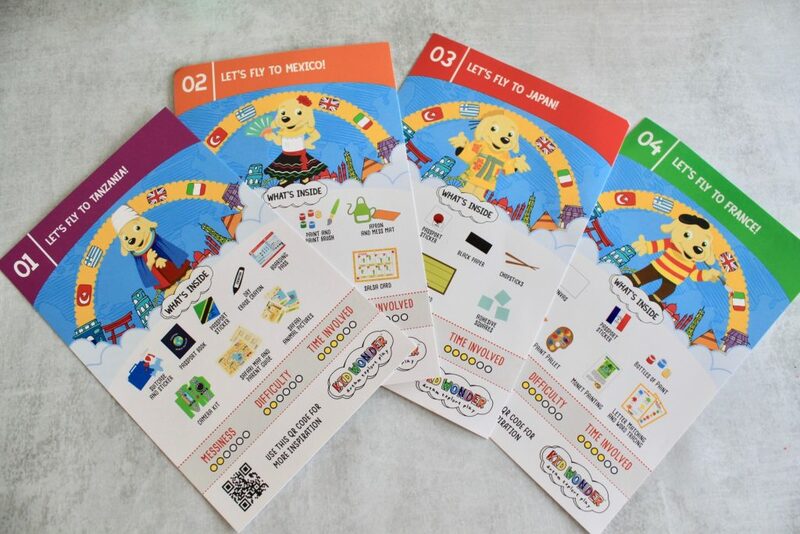 All 4 instruction cards with the level of difficulty, messiness and time involved listed on each of them. 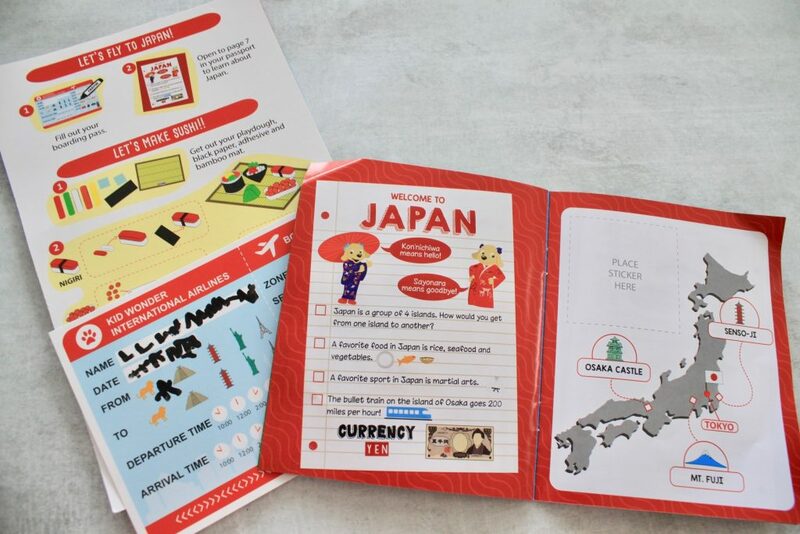 Starting off with the little magazine/booklet always included in our box that gives a beautifully explained introduction to the theme of the month! 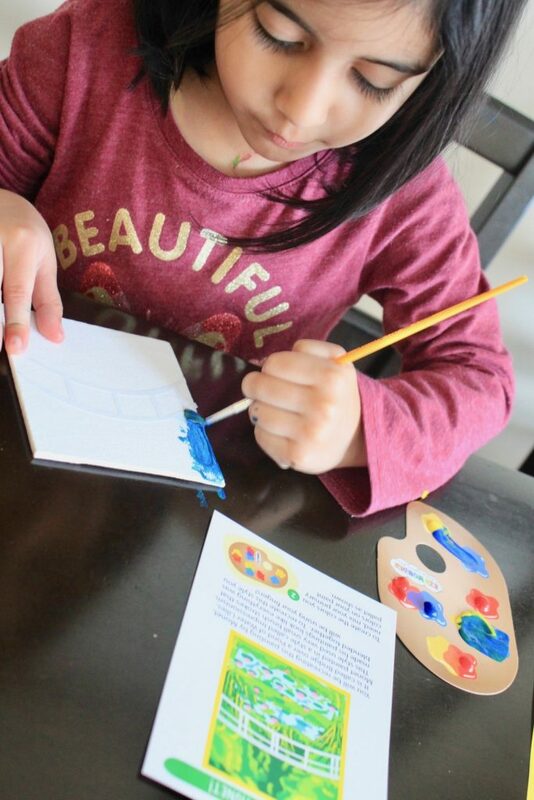 My 4-year-old always has a ball of a time going through the activities as she always learns so much! 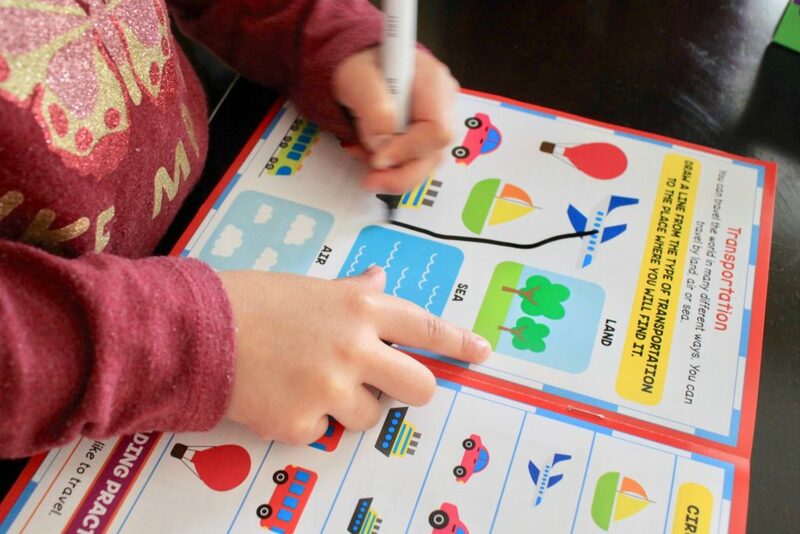 The activities in the booklet range from matching, patterns, tracing words and sentences and many more! Next month’s sneak peek is there too! Next month is going to be all about joining the police academy – this one’s going to be so fun! 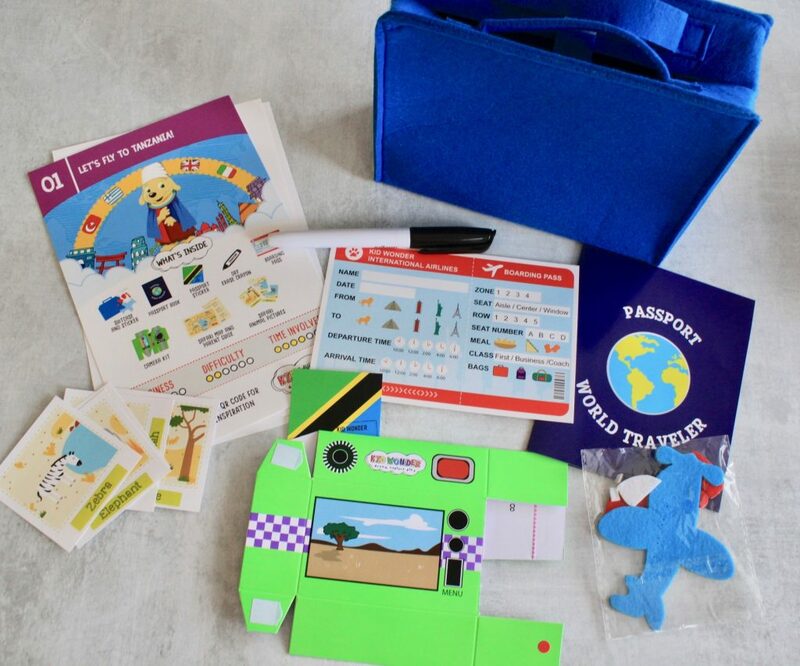 Let’s check out how much fun the kids had traveling the world! 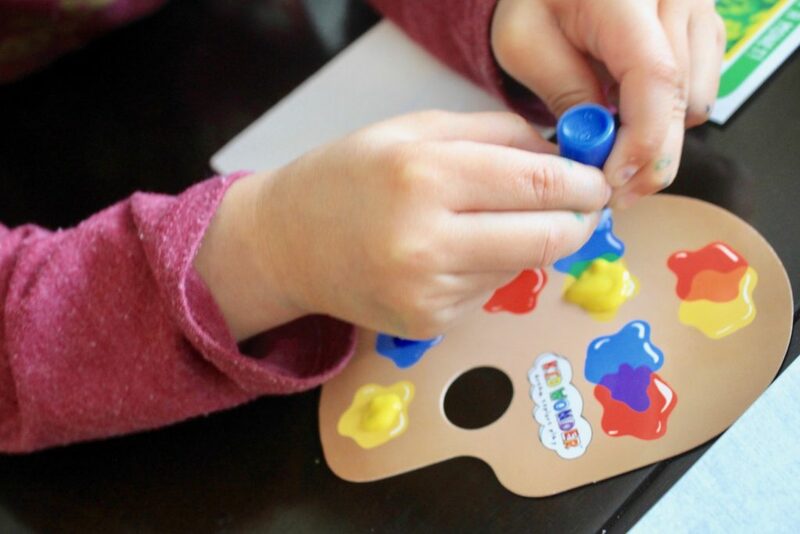 Each activity/craft is numbered so it always makes sense to just follow the sequence. 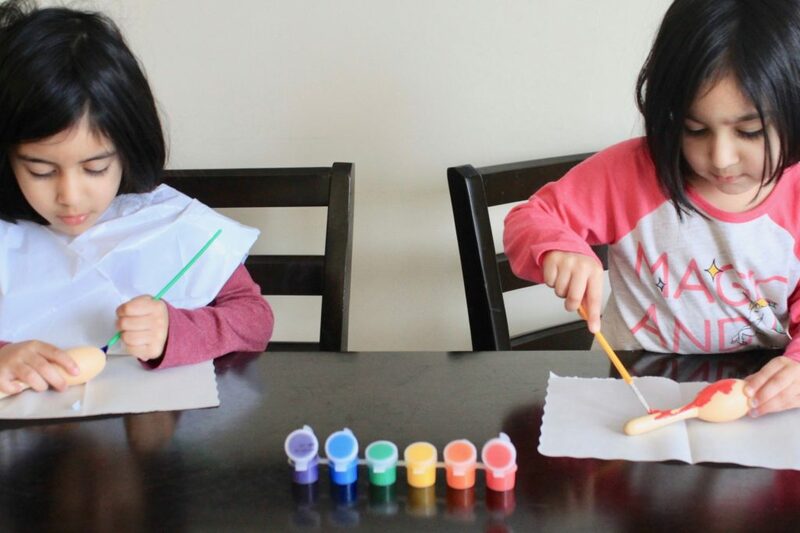 🙂 The first activity is always about dress-up/pretend play fun as it pertains to the theme of the month and I love how everything comes so organized. 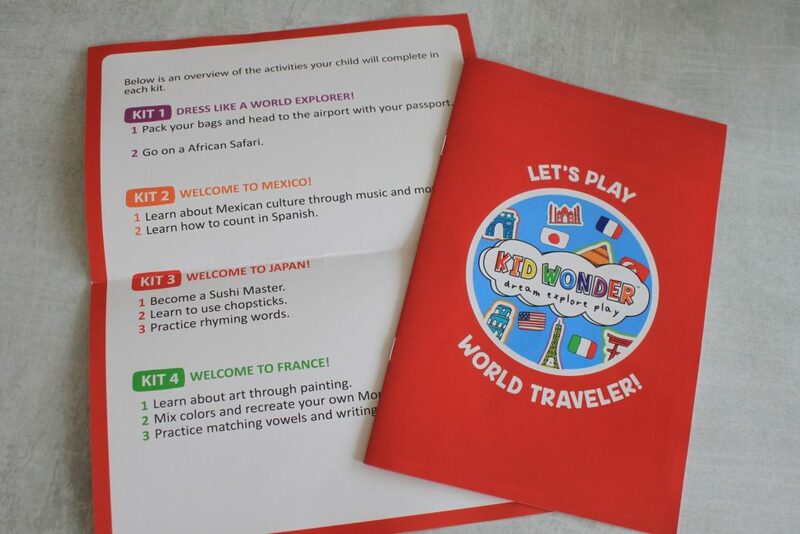 As we were travelling around the world this month, so Kid Wonder picked 4 countries so each of the 4 activity bag pertained to the 4 countries: Tanzania, Mexico, Japan and France! 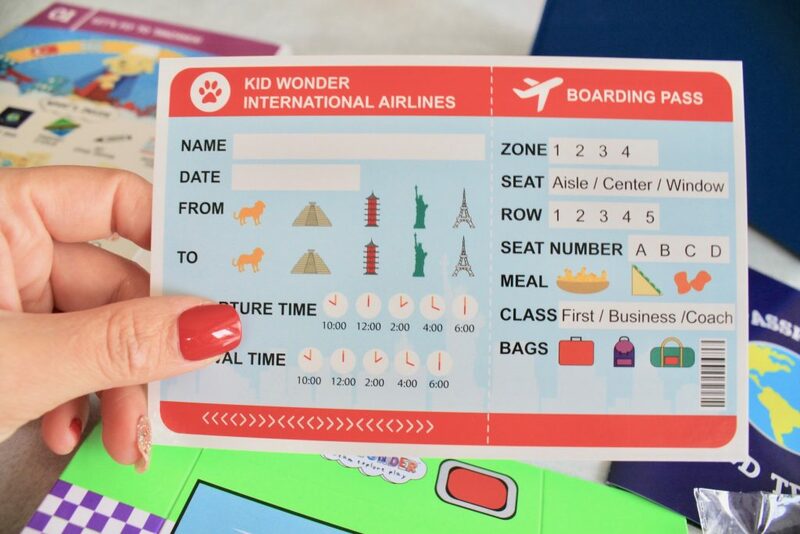 Can’t get over the details on this boarding pass and the cuteness factor! 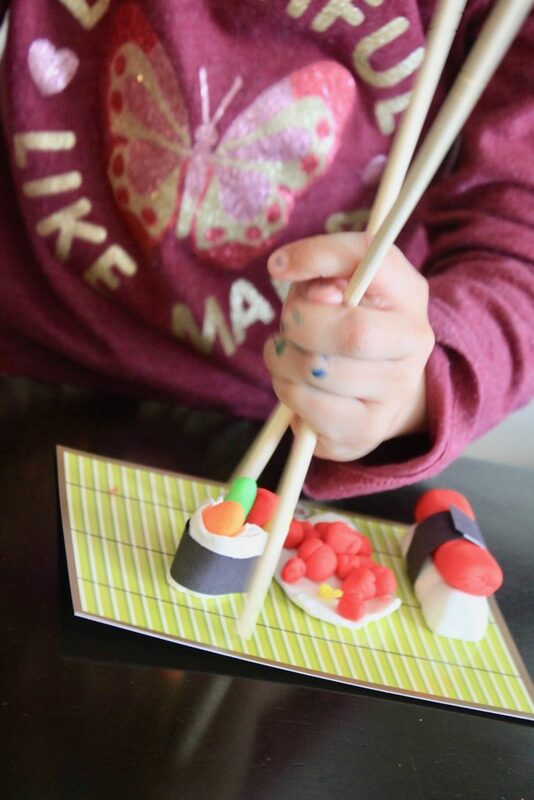 How adorable does this look?! 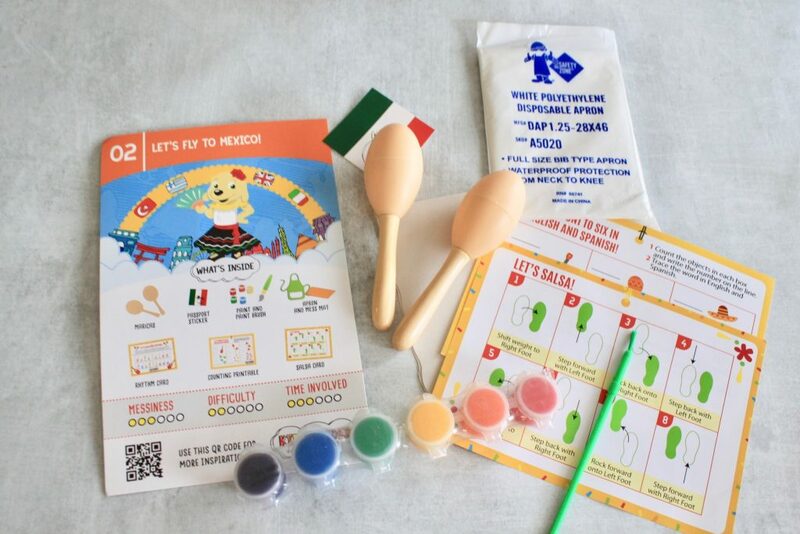 Everything in our Mexico activity bag. 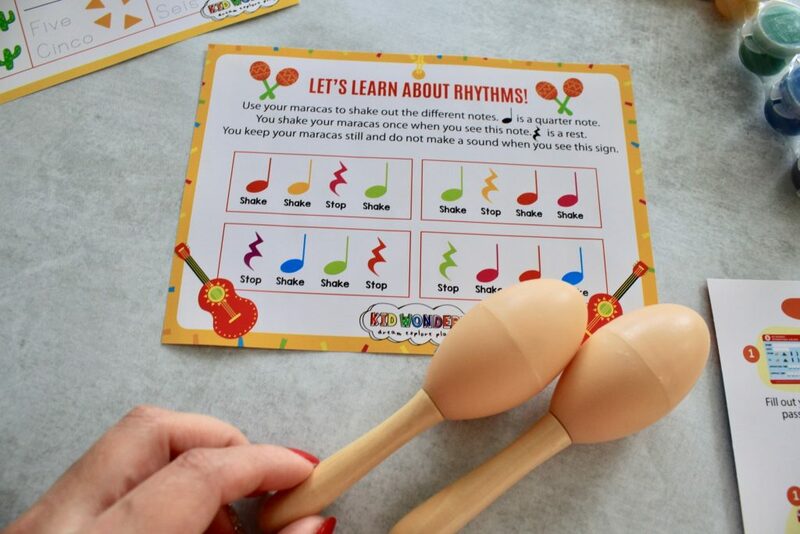 Love that we received this little rhythm information card – so we can learn how to use our maracas! So fun! Time to hop on the plane again! 03 | Let’s Fly To Japan! Filled in our boarding pass and placed the sticker on our passport. 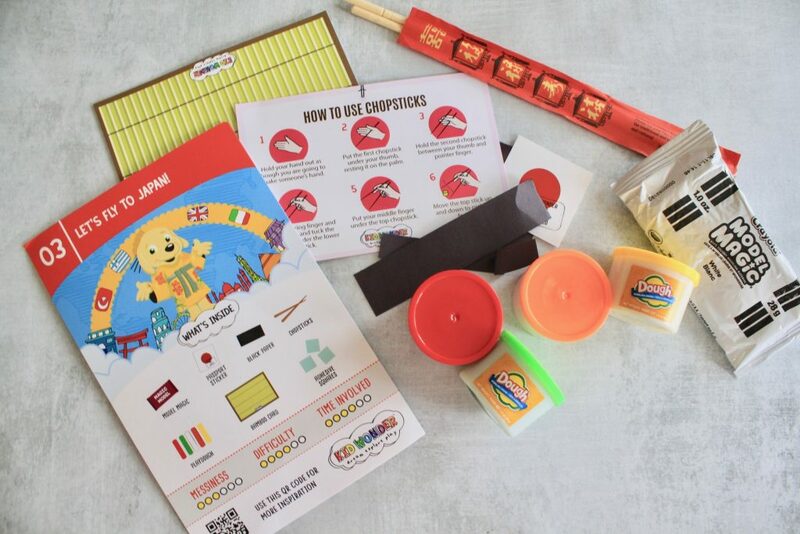 I was pretty surprised that my kids actually followed the instructions and made the sushi as shown on the instruction card. 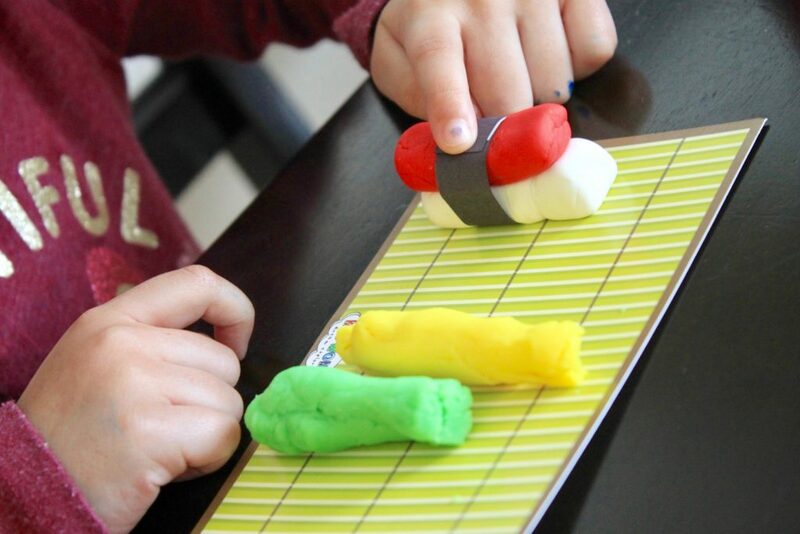 Check out how delicious and pretty-looking our sushi turned out with all the colorful play-dough and black craft paper to show the sea weed in Makimono rolls. Off we go to another country! 04 | Let’s Fly To France! 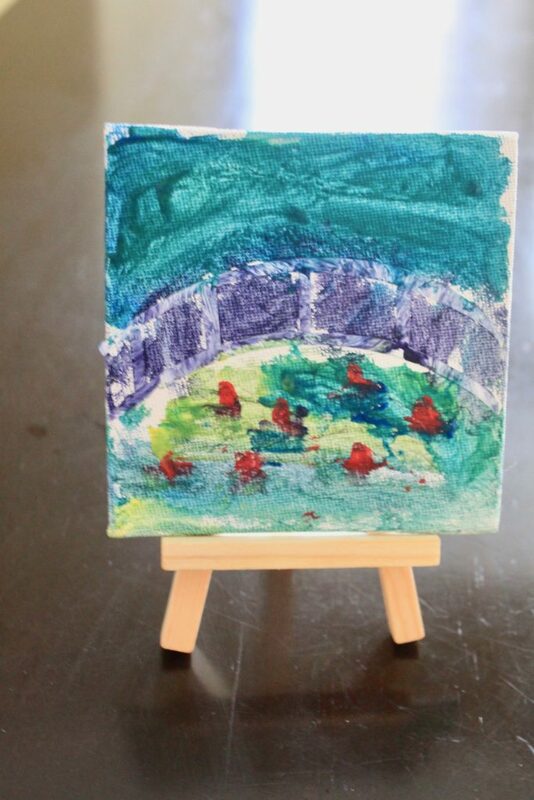 We learned about primary and secondary colors and painted a picture on a mini canvas! 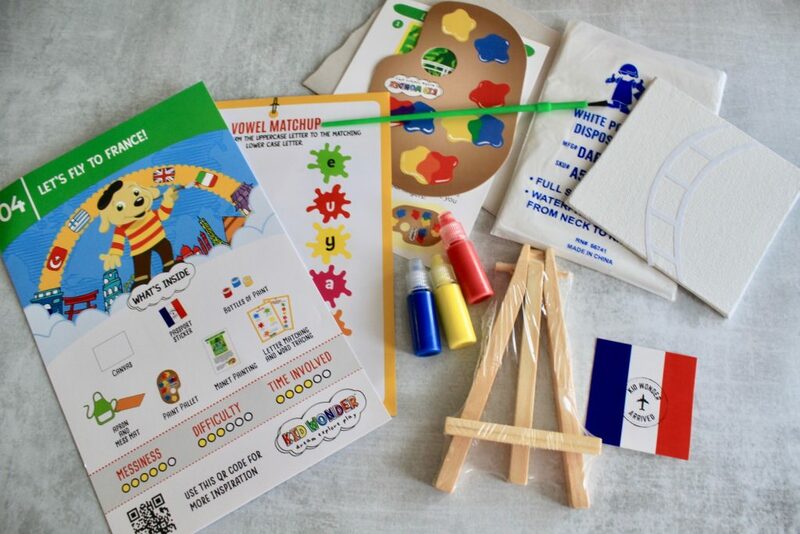 We also worked through a matching (lower-case and upper-case letter) vowel activity page that was included in the France activity bag. 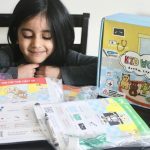 That educational aspect mixed in with all the fun is what makes Kid Wonder Box one of our favorites. 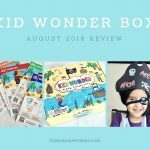 This was such a fun month by Kid Wonder Box! 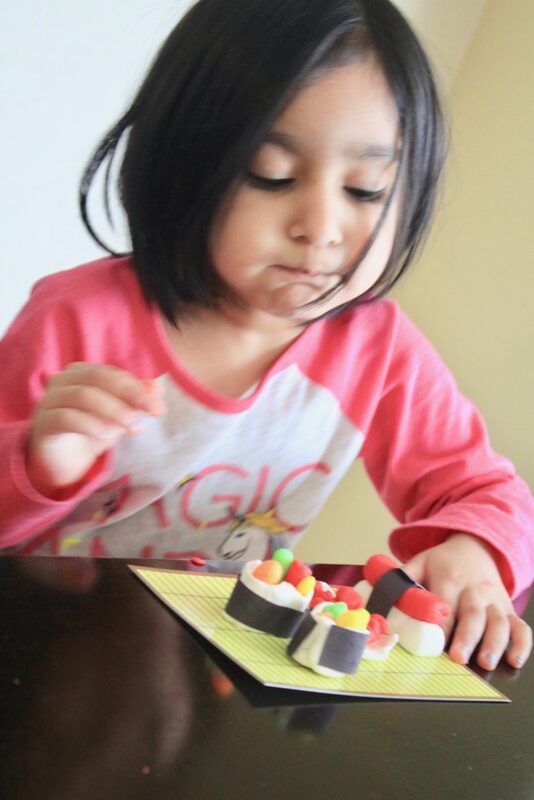 It was informative in a very kid-appropriate way – my girls absolutely loved making sushi with play dough. 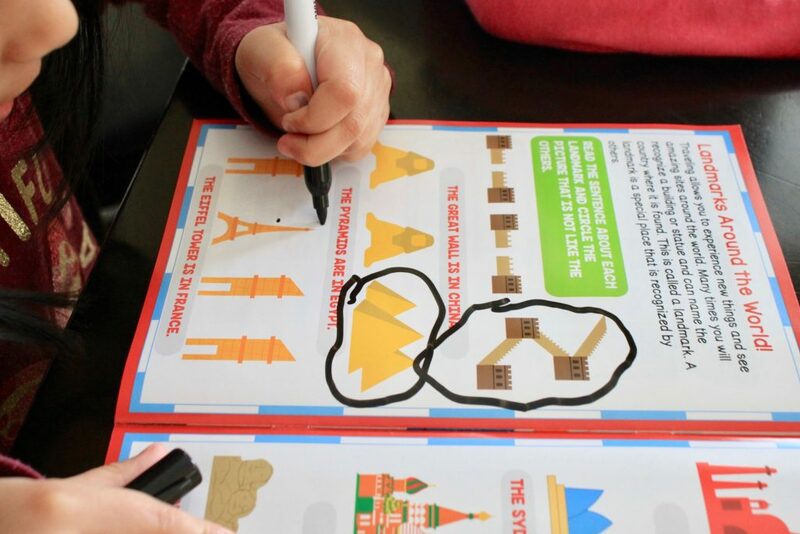 Learning about other countries and culture has never been this fun! 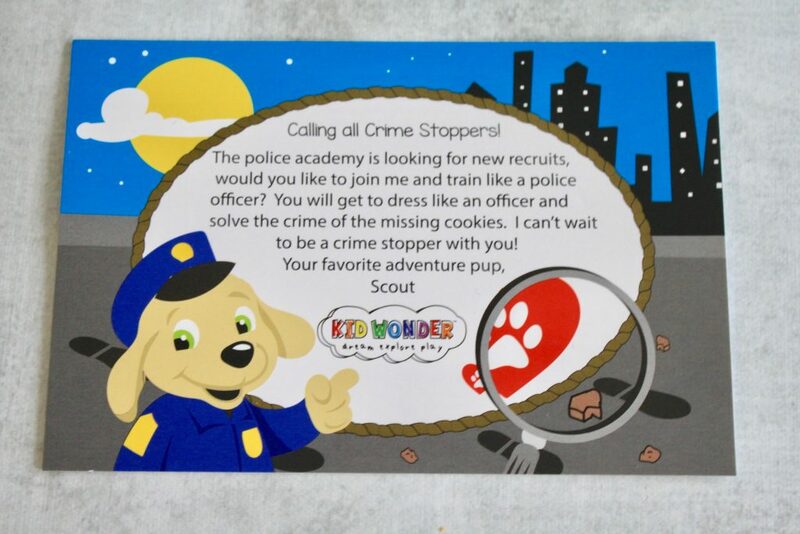 Don’t miss out on next month’s Police-Academy theme and grab your first box for 30% off with coupon code HAPPY30! 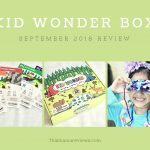 Have you tried Kid Wonder Box yet? 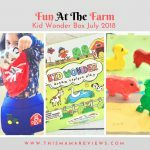 Check out all our Kid Wonder reviews right here!